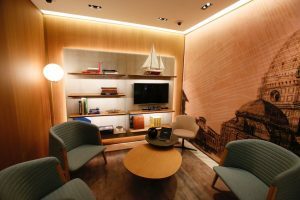 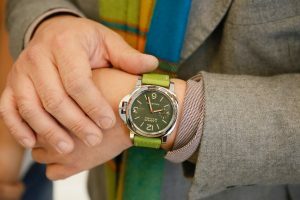 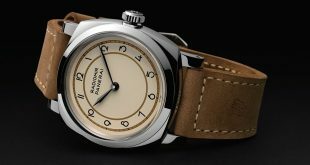 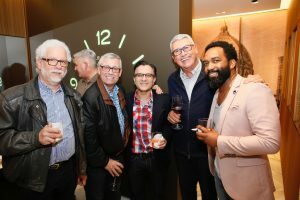 Panerai has recently opened a number of new boutiques around the world, as well as remodeling some of their iconic flagship stores with the direction of world renowned architect Patricia Urquiola. 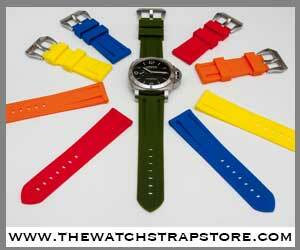 One of these such boutiques is located in my very own backyard here in Orange County, California. 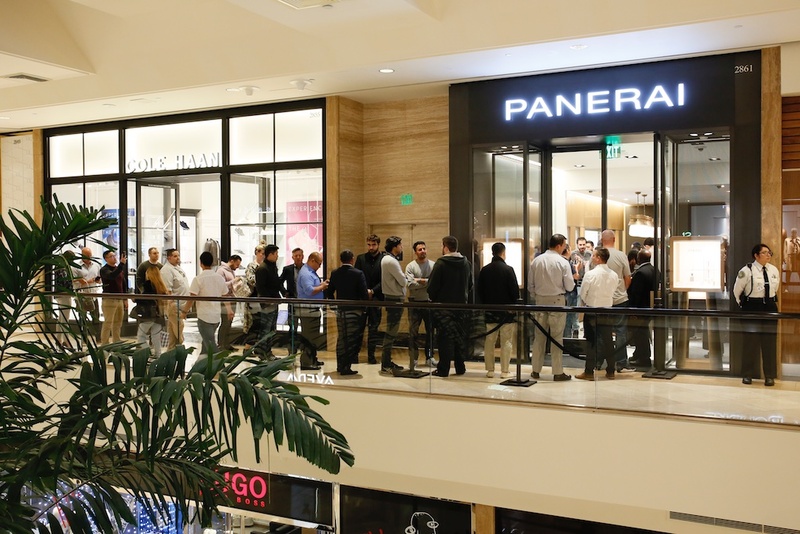 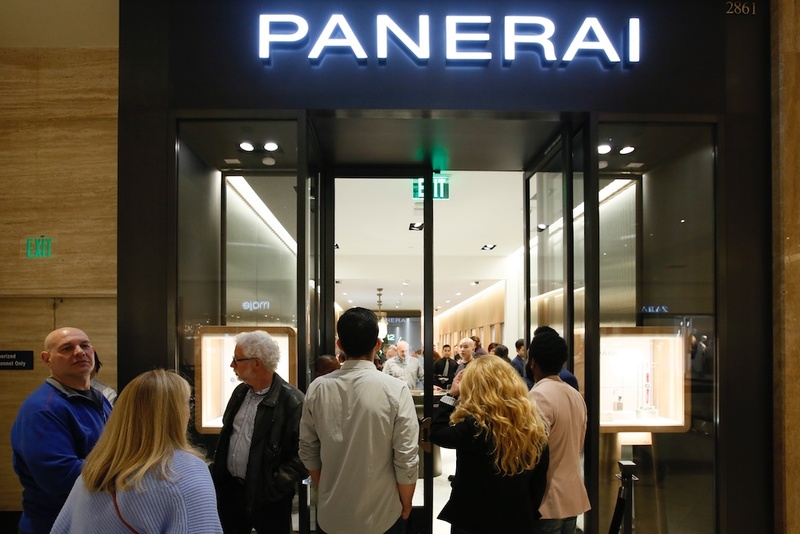 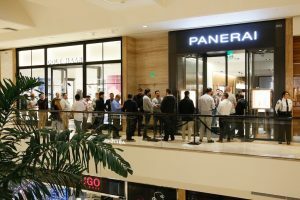 Officine Panerai has found a new home next to other iconic Richemont owned brands at the upscale South Coast Plaza Mall in Costa Mesa. 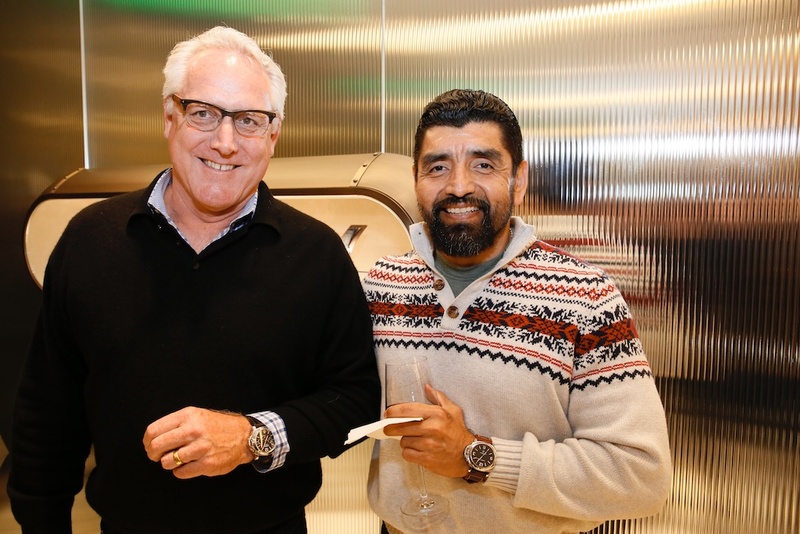 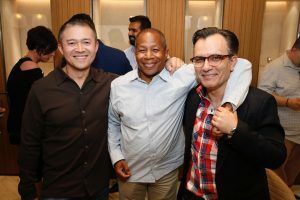 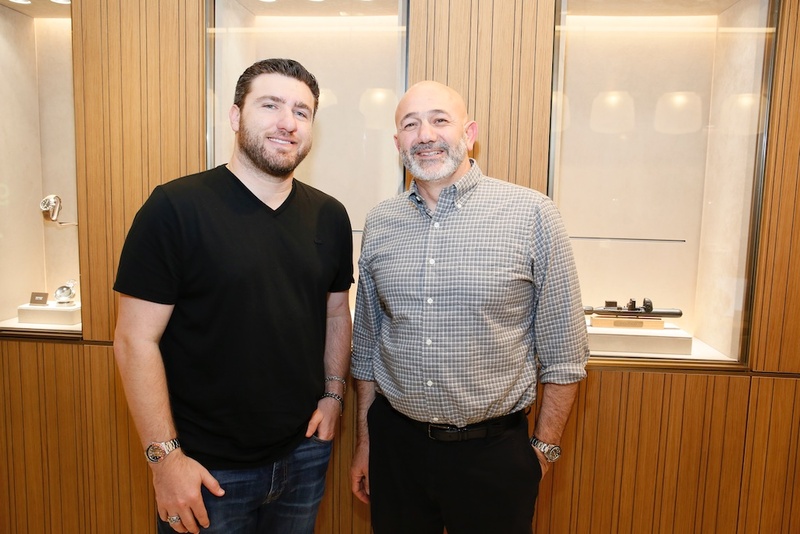 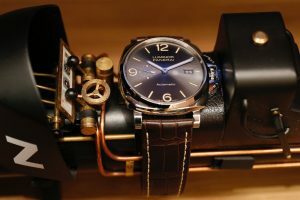 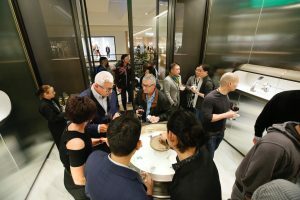 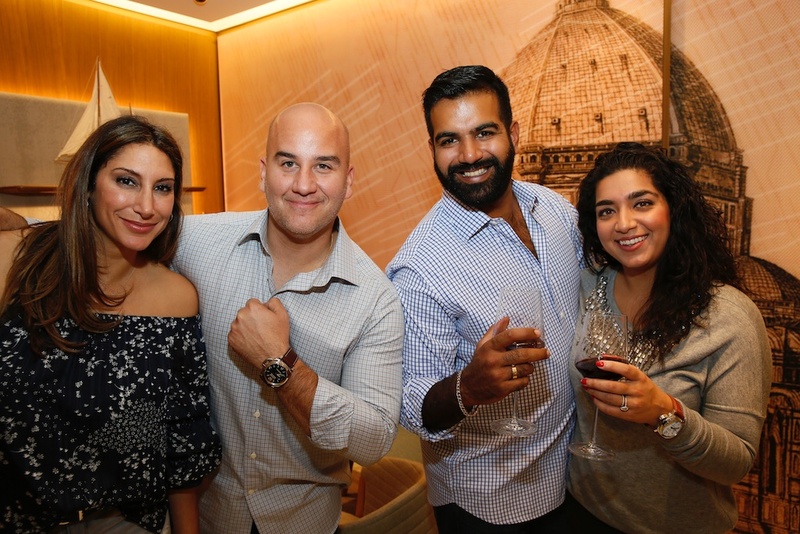 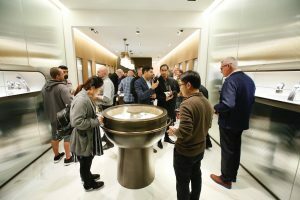 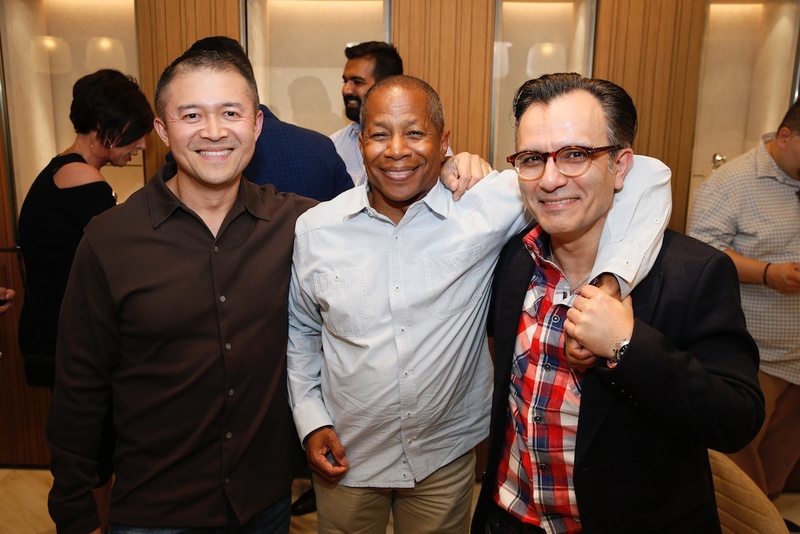 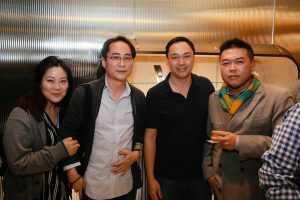 After two successful Panerai Central collaborated events that were held in Dubai (Pamerati Event & Cigars and Tourbillons), there was no better way to introduce a new boutique in my own backyard than to have a Panerai Central event. 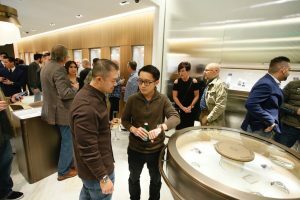 It was the first time doing an official event with Panerai in the United States and I was planning on knocking it out of the park. Obviously, the event needed to serve a couple of purposes at the end of the day. 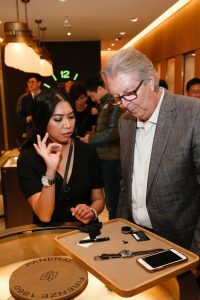 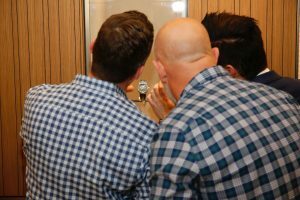 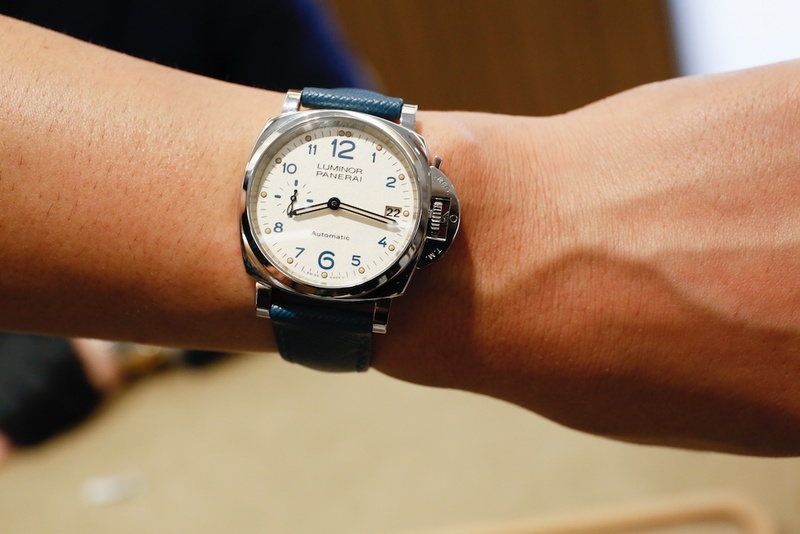 Introduce the Panerai Central followers and Orange County watch community to Julie, the boutique manager, her amazing staff, and let them go hands on with the latest novelties that Panerai had to offer before they hit the boutiques for sale. On display at the event were a number of the SIHH2018 models including the new 38mm, 42mm, & 45mm Luminor Due and Luminor logo dial novelties. 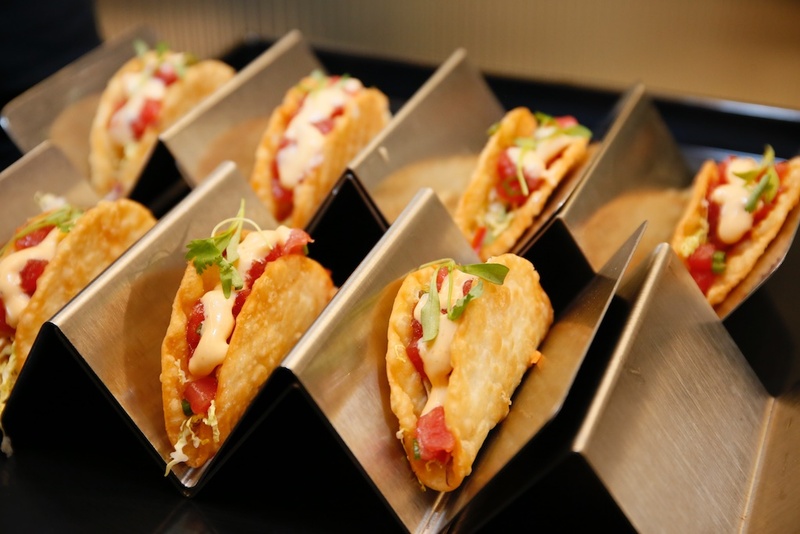 You can get more detailed information on the novelties that were shown at this event here. 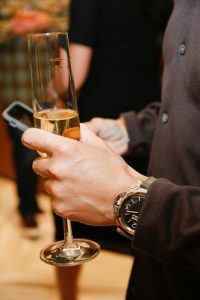 As with any planned event you will always wonder how the turnout will be when the date of the event arrives. 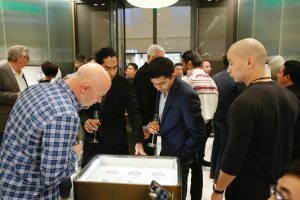 In our case, we didn’t realize how big of a hit this event was going to be when the event started on March 22nd. 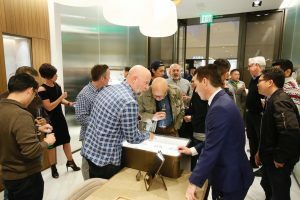 Within 20 minutes of opening the doors, we were at full capacity and had a line forming as if we were a hotspot on the Sunset strip. 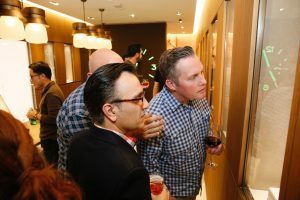 So much for thinking people would trickle in slowly throughout the night. 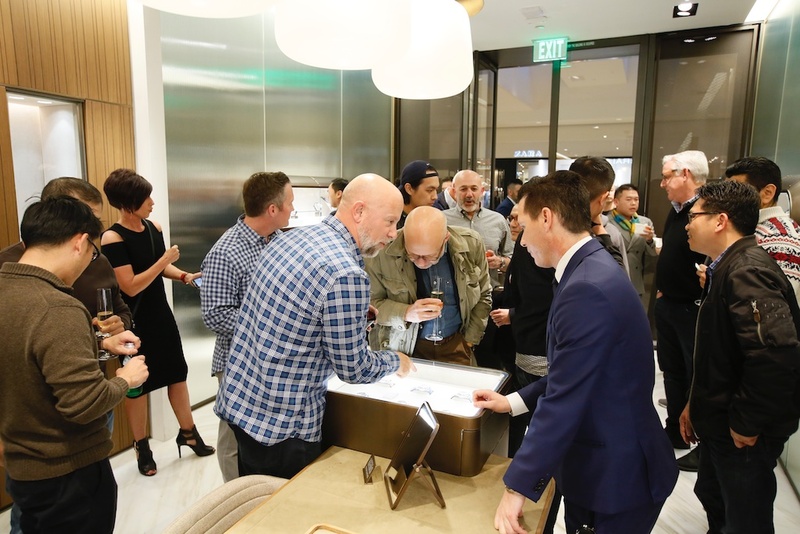 As the line grew longer, we made sure people were being cycled through so that they can they could get some hands on time with the novelties. 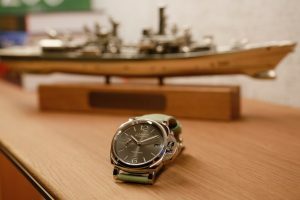 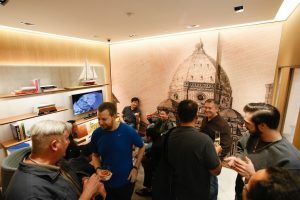 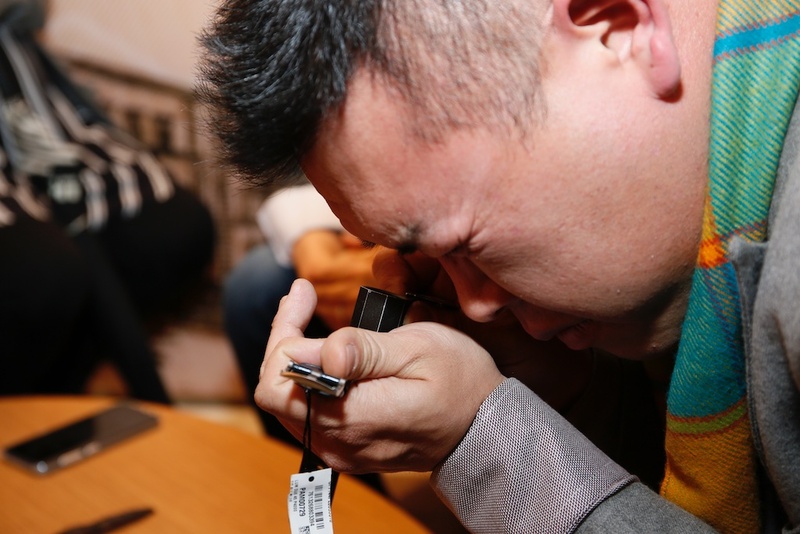 True to form with the amazing Panerai community, everyone that arrived was more than understanding of the situation and willing to wait a bit before getting into the boutique. 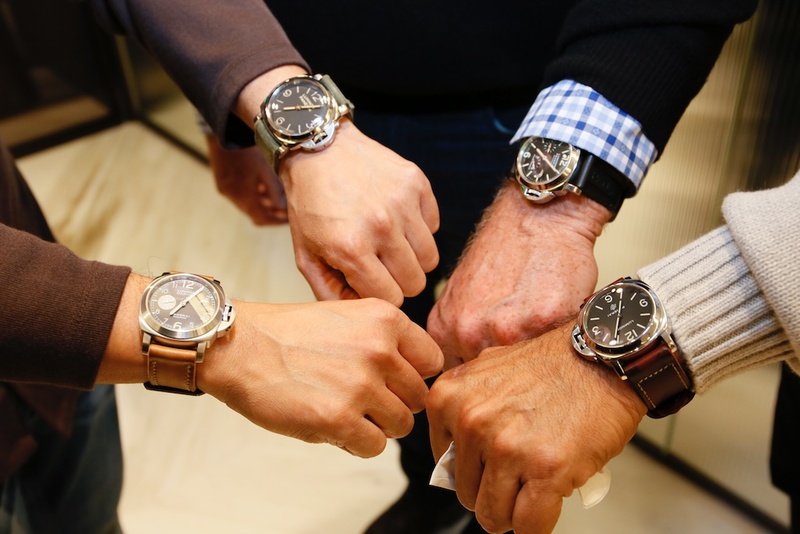 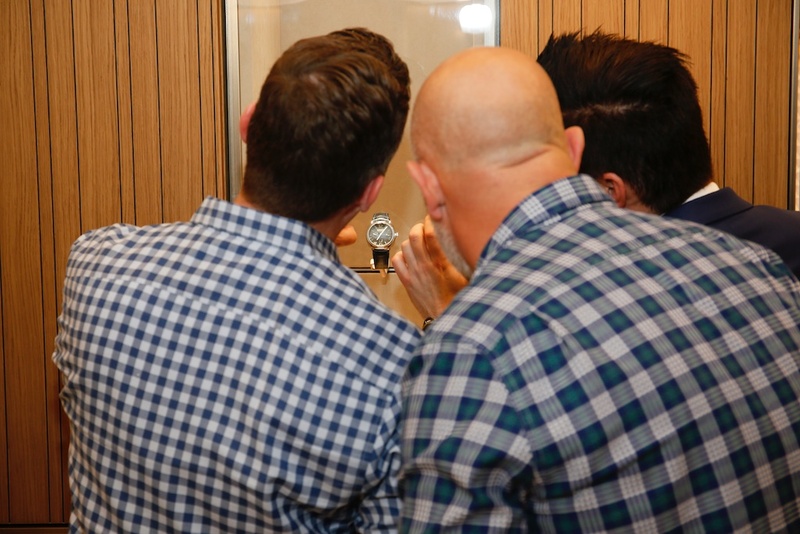 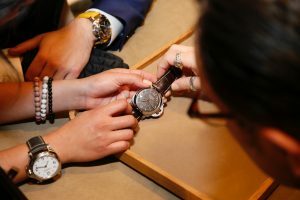 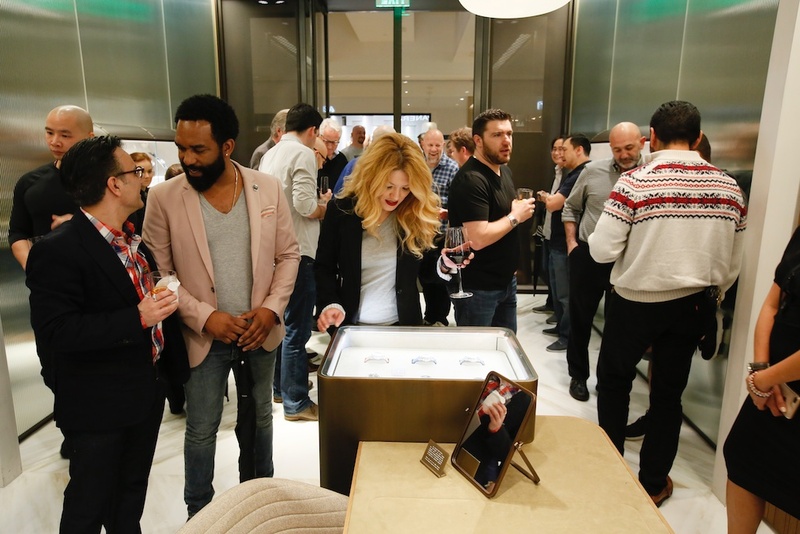 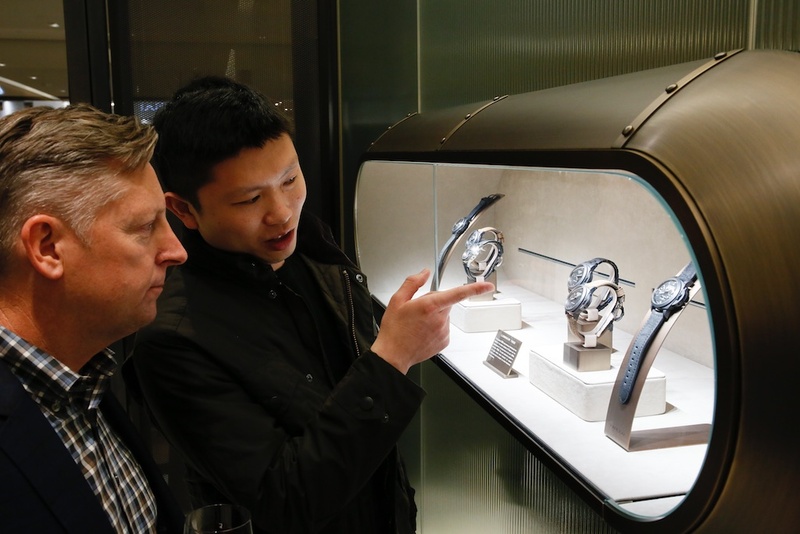 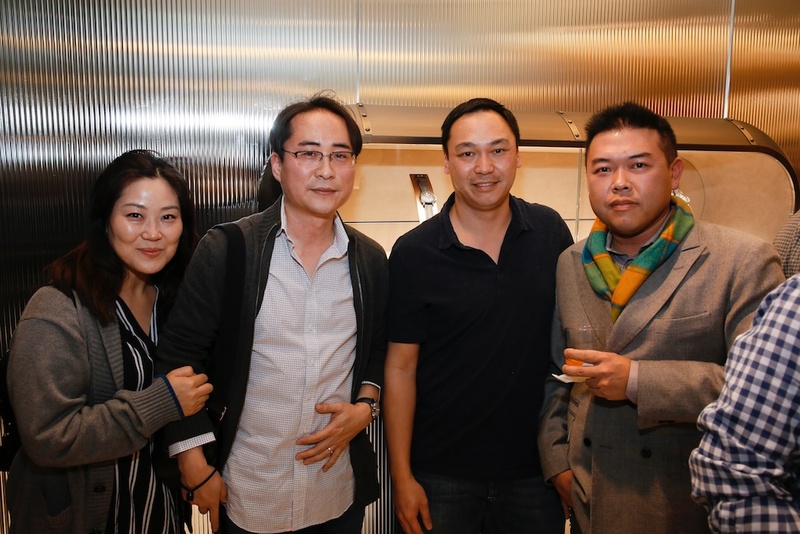 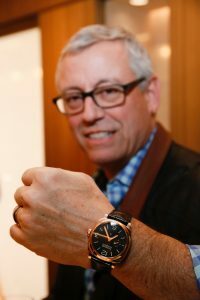 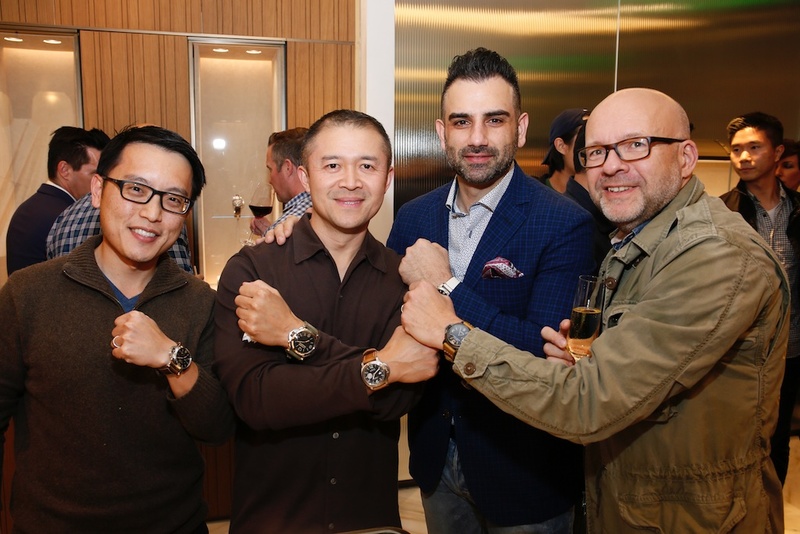 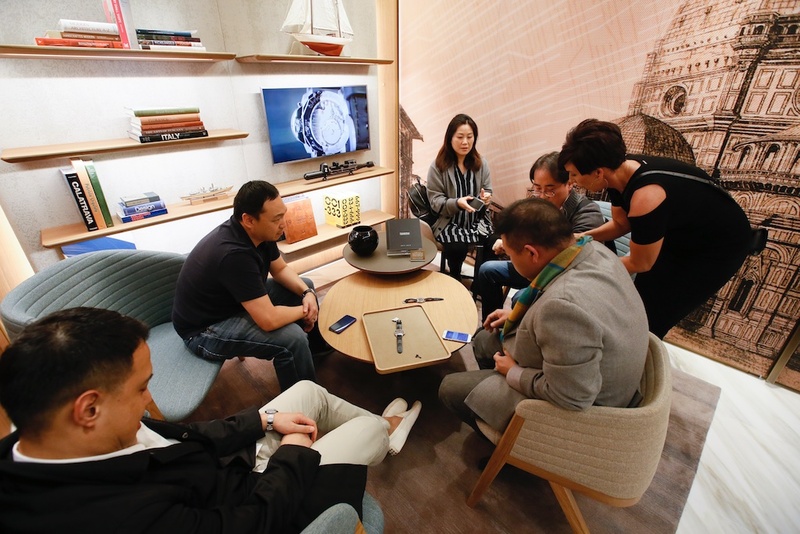 It was great to have such a mix of Panerai and non-Panerai owners enjoying the latest novelties from SIHH and the entire boutiques inventory simultaneously. 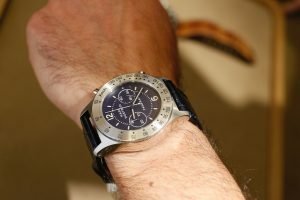 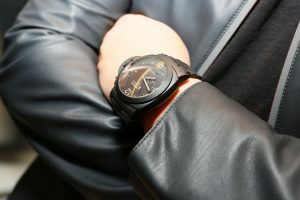 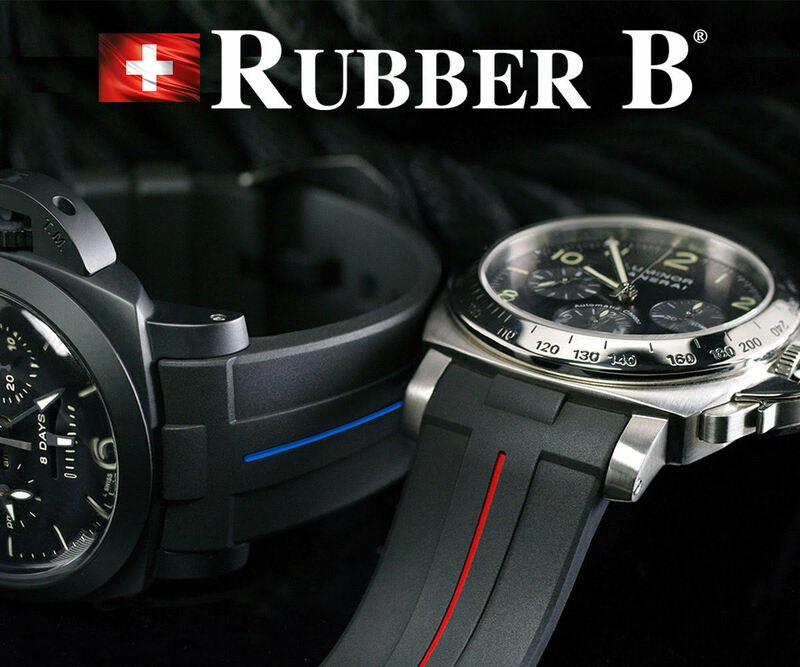 Having both groups interacting together is the synergy the watch world needs to keep all the brands alive and growing. 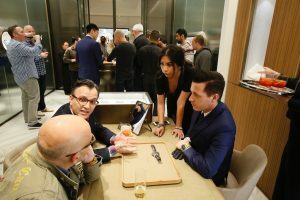 I have to say that I was more than grateful for all of the great followers and friends that stopped by to enjoy the event and new novelties. 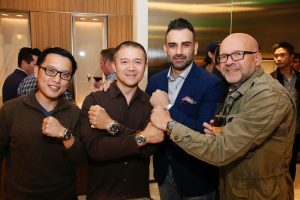 I would like to give a special thank you to the amazing watch communities I am a part of here in Orange County as well as Los Angeles (@oc_chrono, @ocwis, & @lawatchgang) for spreading the word and making the event more memorable. 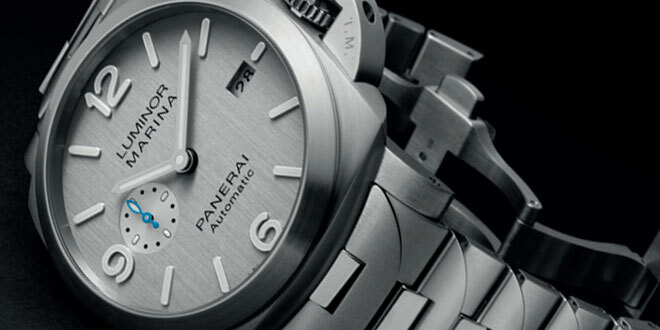 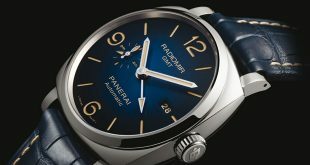 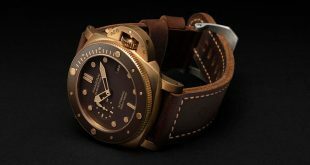 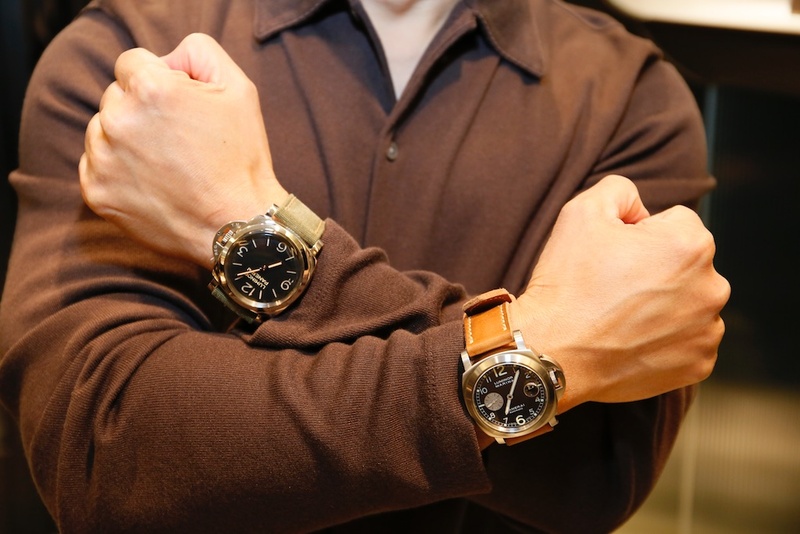 The camaraderie and common joy for Panerai is what really drew me to the brand from the start of my watch collection. 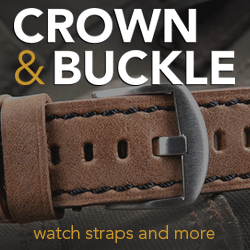 It is also such a huge part of me keeping this site and social channels going. 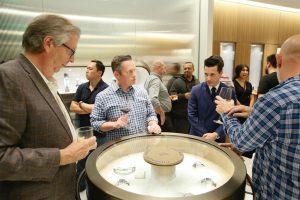 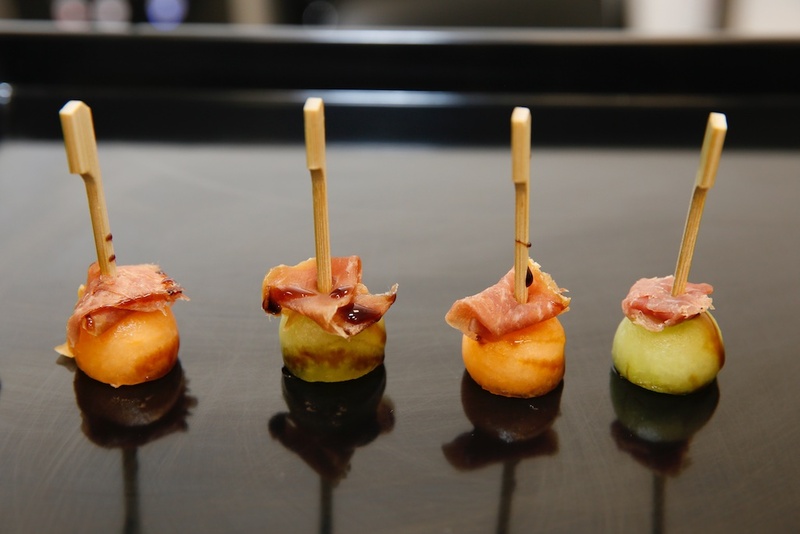 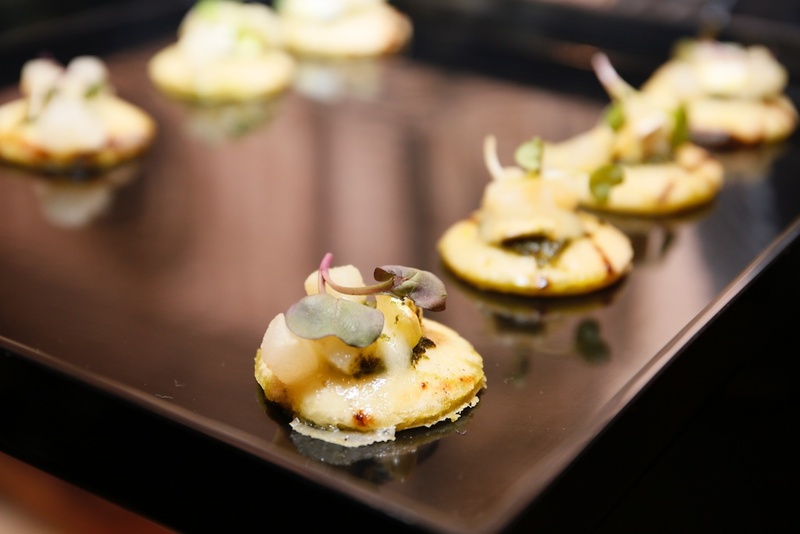 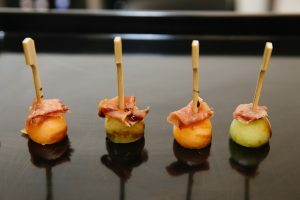 All of the hard work was validated by the groups that gathered together to celebrate the new boutique , new novelties, and attended my past events.